Het vernieuwde IQOS 2.4P apparaat bevat dezelfde tabak-verwarmende technologie als voorheen met een nieuw design, vibratie wanneer de ervaring start en bijna eindigt, beter zichtbare witte LED lampjes en een Bluetooth knop voor het oplossen van foutmeldingen in IQOS Stores. While the idea of heating tobacco (instead of burning it) has been around for more than two decades, it’s only now that we have managed to find a way to heat tobacco that results in a product that is satisfying to adult smokers. 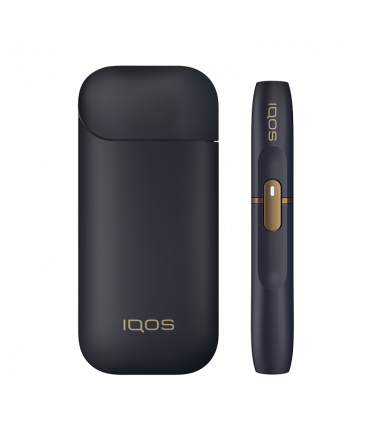 At the heart of IQOS are sophisticated electronics that heat specially prepared and blended tobacco. IQOS heats the tobacco just enough to release a flavorful nicotine-containing vapor but without burning the tobacco. Here’s the key point: the tobacco in a cigarette burns at temperatures in excess of 600°C, generating smoke that contains harmful chemicals. But IQOS heats tobacco to much lower temperatures, below 350°C, without combustion, fire, ash, or smoke. The lower temperature heating releases the true taste of heated tobacco. Because the tobacco is heated and not burned, the levels of harmful chemicals are significantly reduced compared to cigarette smoke. 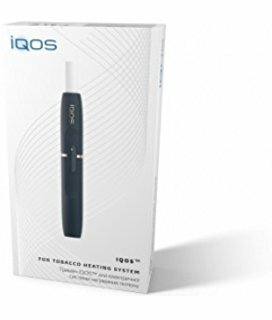 IQOS is a tobacco heating system with three main components – a tobacco stick (called HEETS or HeatSticks), an IQOS holder, and a charger. To use IQOS, a consumer inserts the tobacco stick into the IQOS holder. The IQOS holder contains the electronically controlled heater that heats the tobacco stick. The consumer pushes a button to turn on the heater, and then draws on the tobacco stick to enjoy the real taste of heated tobacco. Once the tobacco stick is finished, the consumer removes it from the holder, and the tobacco stick can be disposed of safely in a waste bin. When needed, the consumer recharges the holder by inserting it into the charger. The tobacco stick contains a uniquely processed tobacco plug designed for heating, not for smoking. The tobacco plug is made from tobacco leaves, which are ground and re-constituted into tobacco sheets, called cast-leaf. These sheets are then crimped and made into a tobacco plug. The holder, into which the tobacco stick is inserted, heats the tobacco in the tobacco stick via an electronically controlled heating blade. The blade simultaneously heats the tobacco to temperatures below 350°C, while monitoring its temperature to ensure a consistent taste experience and to avoid burning. It also has an over-heating protection mechanism, which turns itself off if necessary. The holder supplies heat to the tobacco stick via the heating blade for six minutes or 14 puffs, whichever comes first. After each tobacco stick experience, the small battery in the holder needs to be recharged. The charger houses a bigger battery that stores enough energy to recharge the holder approximately 20 times and can be recharged from household power sockets.